Hint: It's not Uber, Lyft, or Airbnb — and it's been quietly thriving in the East Bay for years. Photo by Bert Johnson In many ways, Arizmendi bakery and other cooperatives are the polar opposite of Uber. Mario lives in Pinole but usually starts his workday in Emeryville, where he hopes to pick up a commuter headed across the Bay Bridge into San Francisco. Once he gets to the Peninsula, with or without a passenger, he often drives to San Francisco International Airport, where he knows he can eventually find some business. The rest of the day is a toss-up: He might drive someone to San Jose, shuttle between the airport and Millbrae, or end up back in the East Bay, where he often gravitates toward Oakland International in search of passengers. An affable 27-year-old son of Nicaraguan immigrants, Mario started driving for Uber about a year ago after he moved back home to take care of his father, who was diagnosed with colon cancer. "I didn't second-guess it," he said of his decision to return home. "I knew everyone needed to be with each other." At first, being an Uber driver served Mario well: It provided him with the flexibility to take his dad to chemotherapy and radiation treatments five days a week while his mom was working as a house cleaner and a nanny. Mario also said that after paying for his driving expenses, he uses some of his leftover income from Uber to help pay for groceries for the family and dinners out for his mom. 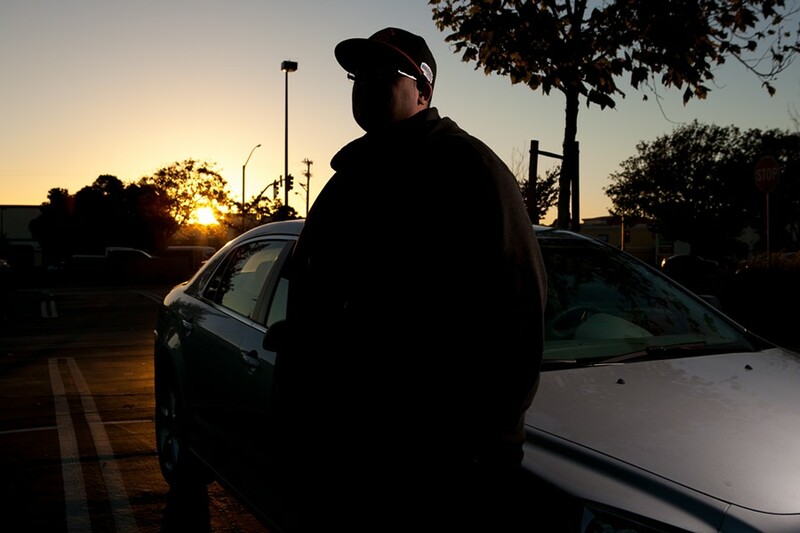 Mario is one of about 20,000 Bay Area residents who now drive for Uber, and his job is an example of what has been hailed as an innovation of employment. In the so-called "sharing economy," work is flexible and mostly autonomous and allows anyone to use his or her assets for a little extra cash with low barriers to entry. Sharing economy companies advertise their platforms, like the Uber app, as not only being convenient for consumers but also ideal for "users," meaning the people who earn money through them. Uber promotes its service as a liberating alternative to taxi driving, its traditional economy counterpart. The company claims that 73 percent of its drivers would rather have a job in which you "choose your own schedule and are your own boss" than a 9-to-5, salaried job with benefits. In 2014, the Uber news blog quoted an Uber driver and former taxi driver from Denver who proclaimed, "I feel emancipated." But over the past year, Mario's job satisfaction has declined, along with his income and the number of customers he has each day. He thinks the Bay Area market has become saturated with Uber drivers. As it gets harder to find passengers at any given time, he spends more time driving or sitting outside an airport with his app turned on, waiting for a "ping." Mario asked that we only identify him by his first name because of fears about retribution from Uber. The recent announcement by Uber that it will expand its global headquarters to the old Sears building in Uptown Oakland has been accompanied by a heightened interest in the company and its business practices, as well as those of other companies in the sharing economy. Many local political and business leaders have hailed the arrival of Uber as a sign of the city's long-sought revitalization. But from the perspective of critics and labor activists, the term "sharing economy" is grossly misleading, because companies like Uber are just offering a new form of unstable, unregulated employment — and there isn't much actual sharing going on. The word "sharing," of course, connotes generosity and fairness — of equal access to something. It appeals to more than just convenience and immediate gratification — to a type of transaction that ideally might be more sociable and less wasteful than the regular economy. The idea of sharing is also attractive because it seems to address real problems in the current economy: unemployment and underemployment, the insufficiency of the minimum wage, consumer waste and environmental impact, and even social alienation. But critics say that, in reality, Uber does little to address these issues. Moreover, as politicians and business leaders have celebrated the arrival of Uber, they've overlooked the local organizations and cooperatives that have been engaged in actual sharing for years. In fact, Oakland and the East Bay have long been home to innovative businesses that have established equitable structures and share risk, decision-making, ownership, and profit. 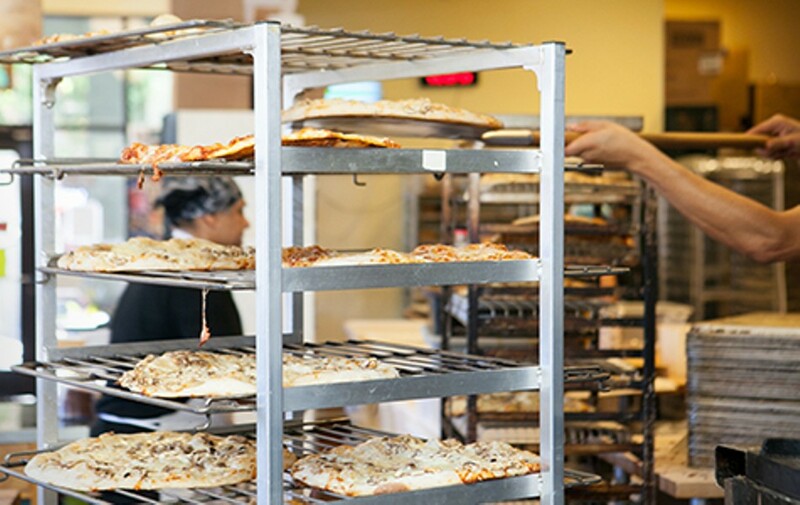 These small cooperatives and socially minded businesses, including Arizmendi Bakery and the Missing Link Bicycle Cooperative, have not generally been recognized as part of the new "sharing economy." In fact, in many ways, they're the polar opposite of Uber. They make up what some advocates call "the true sharing economy." The term "sharing economy" came into common usage among journalists and publicists in the mid 2000s to describe a class of technological platforms that allowed people to consume collaboratively. The idea was popularized among a young, budget-traveling set with CouchSurfing, a website that facilitated a free exchange of hospitality. "Sharing" referred to the use of personal assets in this exchange: a user allowed a stranger to sleep on his or her couch simply because of a shared belonging to CouchSurfing, which is often referred to as a community. This free, communal exchange continues to thrive through platforms like FreeCycle, or even Craigslist, among others.